Salem, VA(June 24, 2013): Gunther Hoyt Associates offers global experience and sales expertiseand leadsthe international sales efforts as the exclusive Sales Agent for NPE 2015 for Europe, Japan and Korea. The team has recently grown with the significant addition of Mr. Hideo Tanaka to manage all activities in Asia – specifically Japan, Taiwan and South Korea. Mr. Hideo Tanaka has been a leader in the plastics industry, most recently in the position of President and Advisor for Toshiba Machine Engineering Co. Ltd. 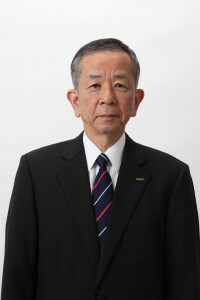 He has spent his successful career with Toshiba Machine starting out as an Engineer in 1971 and working up to general manager, then managing director and since 2009 President and Advisor. Toshiba Machine is a world leader in industrial machinery. The group ofcompanies produces various kinds of injection molding machines, extruders, diecastingmachines, machine tools, robotics and controllers, with threemain plants in Japan (Numazu, Gotemba, Sagami) and one in China (Shanghai). During his tenure at the company Mr. Tanaka headed up the Toshiba team that negotiated an important Join Venture with KraussMaffei in Munich. This cooperation agreement was signed in 2008 to develop leading edge machinery for plastics processing. The companies agreed that with their complementary expertise in different marketand technology segments Toshiba Machine and KraussMaffeiwould jointly developinnovative machinery meeting the requirements of customers in the 21st century.Both companies collaborated closely with each other andintegrated the strengths of each company in various fields. Mr. Tanaka will manage the activities for Gunther Hoyt Associates while residing in Japan. The firm, run by Gunther Hoyt, offers a range of services that deploy his global expertise and contacts in distribution, marketing, direct sales, mergers, acquisitions and other fields.The team members have been involved with the NPE show since the early 1980’s and Gunther Hoyt held the Chairman position of the NPE 2003 show.His team includesindividualslocated in the US, Europe and Asia. The entire team will be present at the upcoming K-show in Dusseldorf, Germany – which launches the sales activity for the NPE show. Former Xaloy executive vice president,Gunther Hoyt offers his services as an international business consultant specializing in plastics machinery, equipment and machine components. Gunther Hoyt’s career has spanned over 35 years in the plastics industry and he was inducted into the Plastics Hall of Fame in 2012. A bilingual veteran of the global plastics industry, Hoyt spearheaded establishment and expansion of distribution networks and direct sales operations in North America, Europe, Japan, China and other Asian countries. In the U.S., where Xaloy previously sold its barrels and screws almost exclusively to OEM’s, he set up and directed a network of agents to market machine components directly to processors. He also played a key role on business teams that recommended and built Xaloy’s sales and service operation in Japan and its manufacturing, engineering and customer service facility in Thailand.